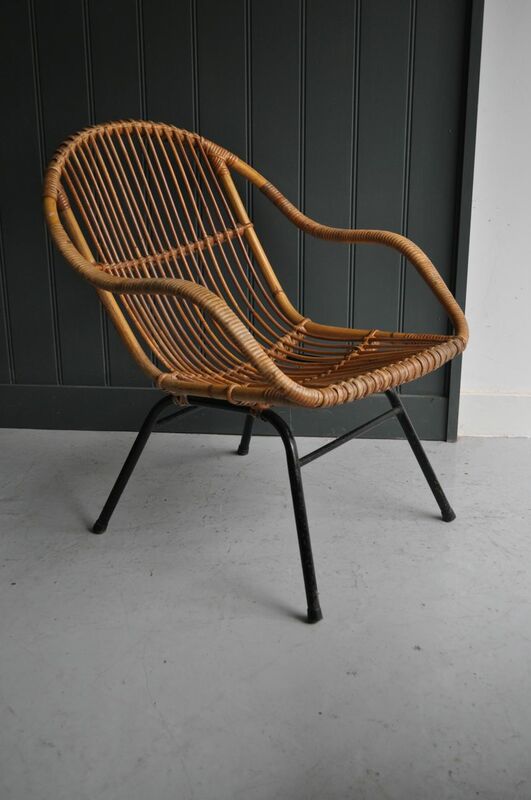 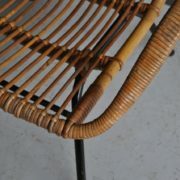 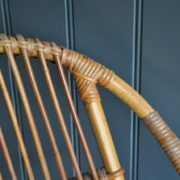 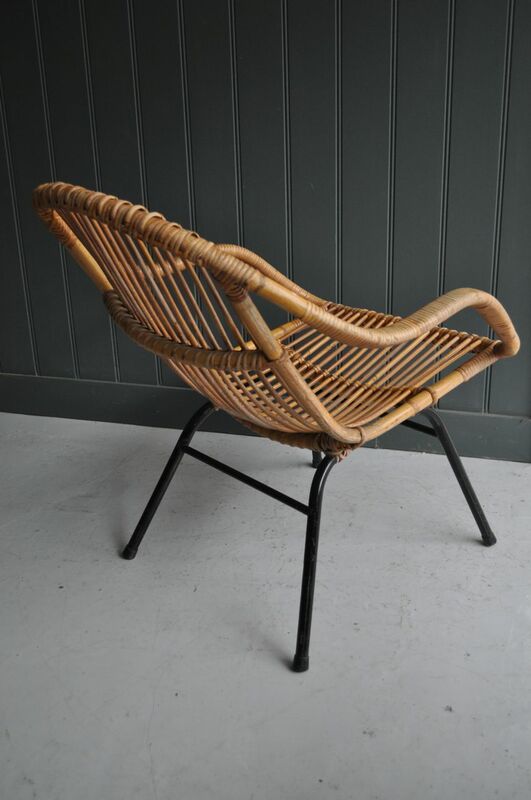 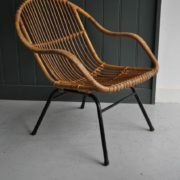 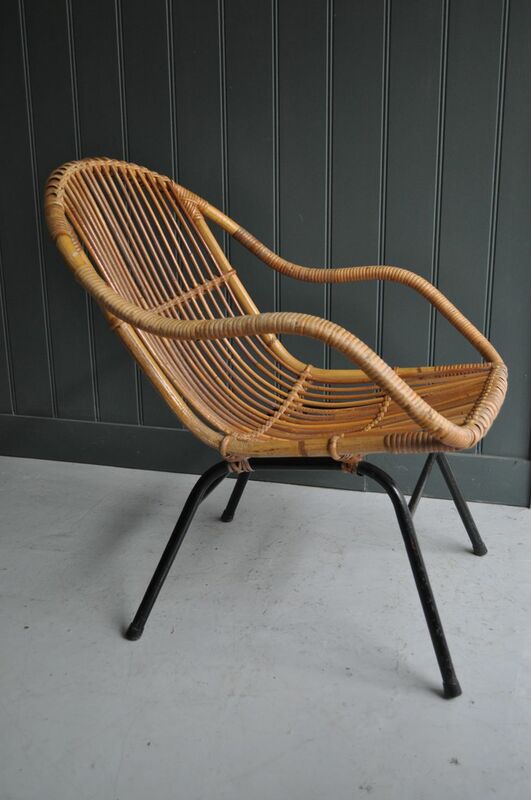 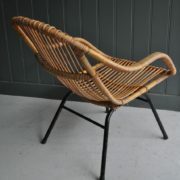 Stylish mid-century Continental wicker chair with splayed rod legs in original black paint, and with leg caps all present. 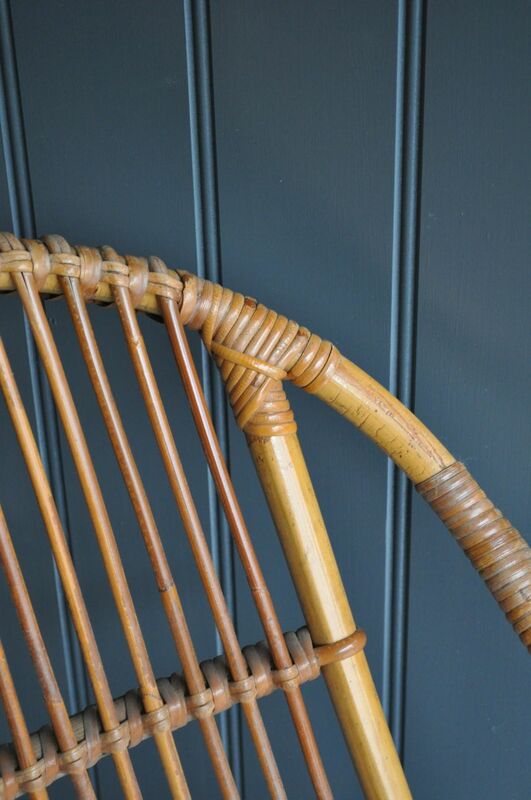 Light wear in keeping with age, but stable and firm, and a nice compact size. 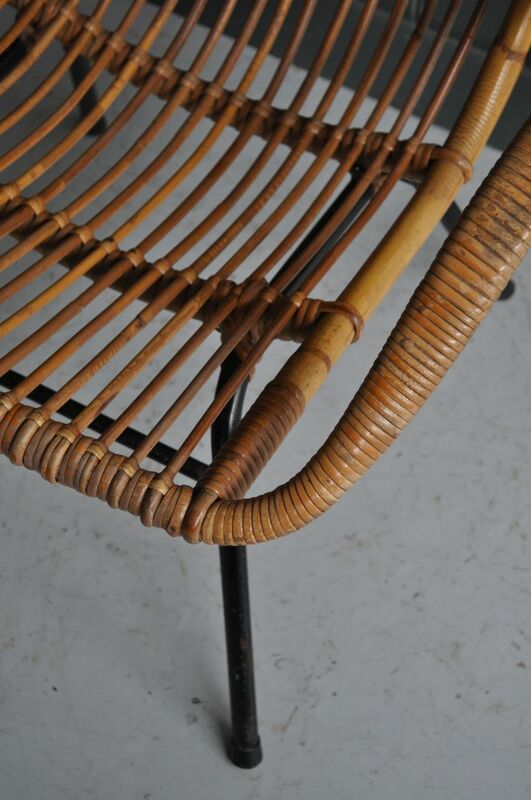 Seat height is approximately 36cm.